Home / Horse Care / How To Fit A Horse Halter In 1-2-3 Steps! 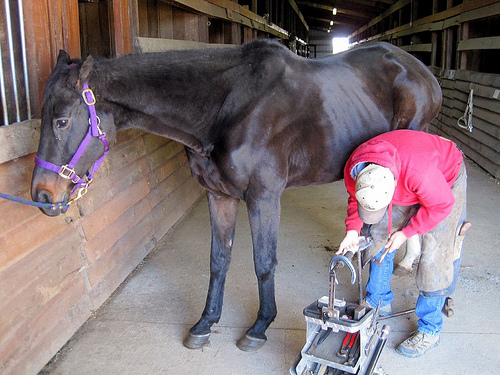 How To Fit A Horse Halter In 1-2-3 Steps! 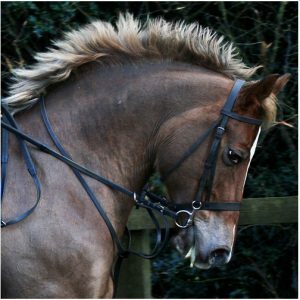 Getting a horse halter fitted right is essential if you want to be able to lead your horse properly and you want to do so without causing injury to your horse. The halter goes over the neck and nose, and fitted incorrectly, it can cause soreness or even make your horse behave strangely. So here are the 3 steps to getting the halter fitted perfectly! Once you’ve gone through these – practised them and got them right, you will never have to worry about how to fit a horse halter again! A halter that is too big or too small will never fit the purpose right! You need to make sure it is the right size. And if it isn’t, then measure and get yourself one that does fit right. Measure the area where the noseband will go from one side of the horse’s face to the other. Also take measurements all around the face. With these measurements handy, finding the perfect halter at the tack shop shouldn’t be a problem. 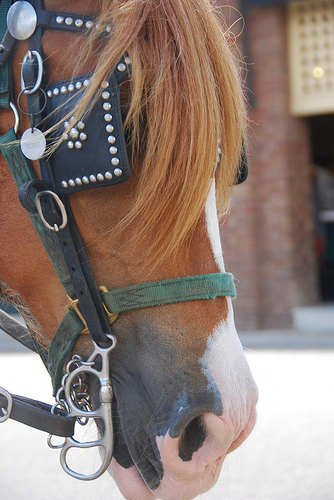 Also there are various types of halters to be found – depending on size of horse or the purpose. Get one that fits your purpose. 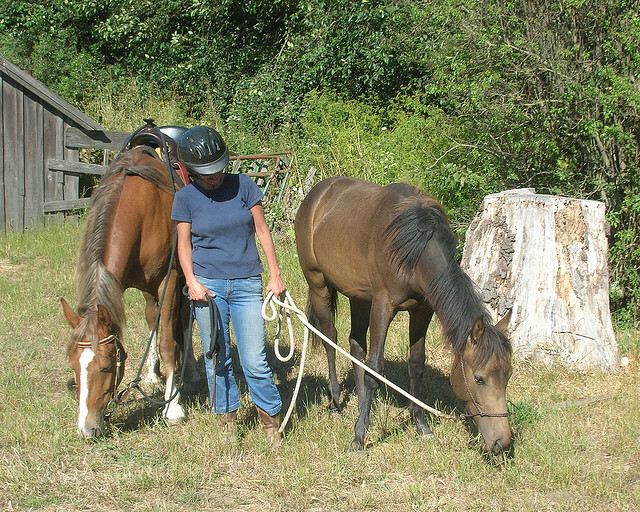 Fitting the halter can be easier if you put the lead rope around the horse’s neck first. This will keep him from walking away. 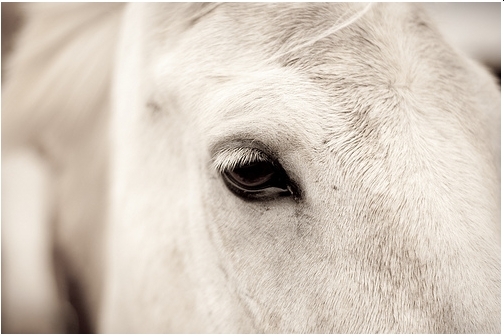 At first, you need to get the horse to like you and stay calm. Thereafter, first slide his nose into the nosepiece of the halter. Pass the part that will go into the buckle over the horse’s ears and fit the buckle. Make sure it fits right before you give the buckle the final pull. If you have a clip-on halter, then you’ll just have to slide it on, and secure the clip. Once you’ve got the halter on, the next and most important step is getting the fit right. 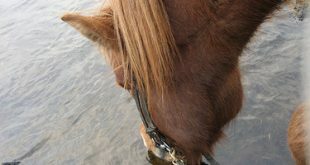 A properly fitted halter is one of the most basic and important things about horse care and horse riding. 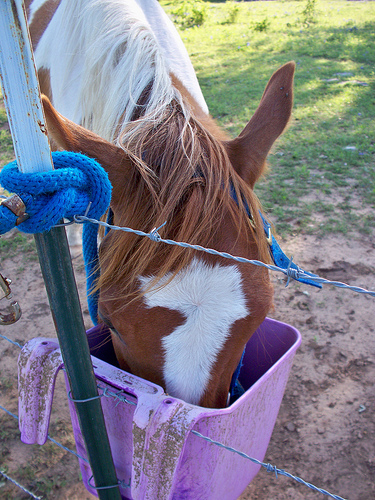 And now that you know how to fit a horse halter – you should be able to do it right every single time! 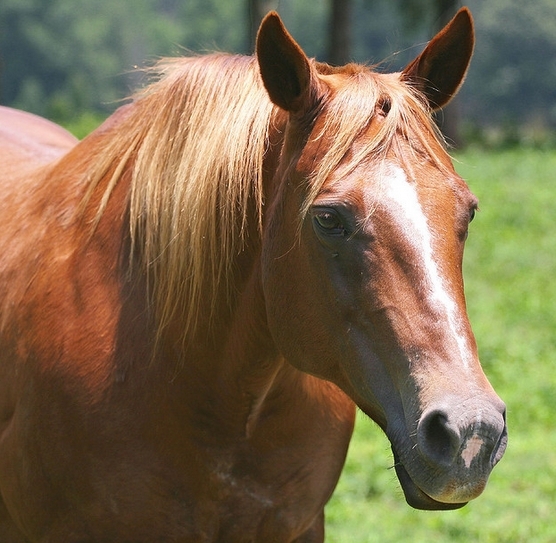 Previous How Much Supplement Should You Add To Your Horse’s Feed? Next How To Neatly Bang Your Horse’s Tail – And Show Him Off!